Venetian gatto Mask is made out of paper mache. Wearable with black ribbon ties. 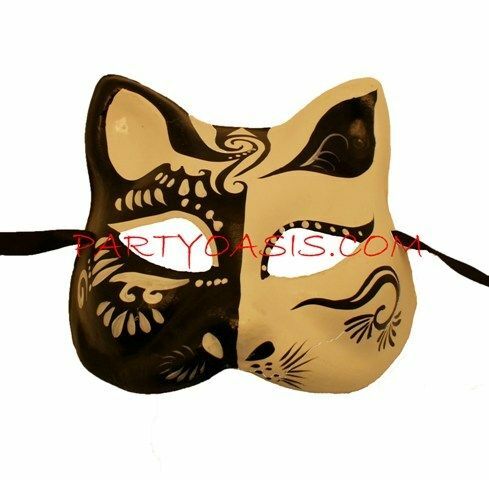 Great for your next Black and White Masquerade Ball or complete your Halloween Cat costume with this great accessory.